On 6th August, Chibu Latiffah Dangote was welcomed to this ‘cruel’ world. East Africa’s king of music, Diamond Platnumz and Ugandan businesswoman and singer, Zari Hassan were became happy parents. 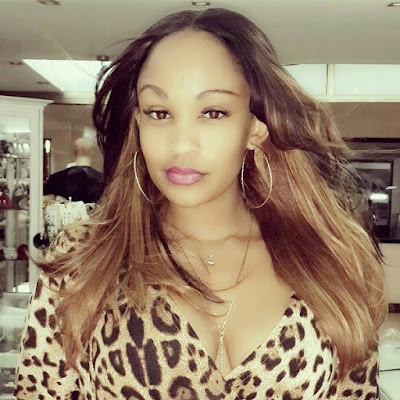 The news spread across the world and it was received with joy until one King Lawrence, Huddah Monroe’s ex boyfriend and cousin to Zari’s ex husband decided to caused ripples questioning the paternity of Princess Tiffah. Two weeks down the line and the celebrated couple is still strong and happy together. As we all know, in the postpartum period (days or weeks after a woman gives birth) a woman or the baby mother rather, experiences changes in her body. It is believed that women will gain extra weight and probably have a belly. This has happened to a lot of mothers but not Zari. The Ugandan socialite aka the boss lady still has her perfect figure. Her voluptuous curves are still intact. I know many ladies are green with envy. They wish they would be like her. Personally, I admire her body shape.